A proven method of removing a stuck car key is to have the driver gently rock the steering wheel back and forth while pulling the key out of the ignition, according to Popular Mechanics magazine. The rocking motion releases pressure on the ignition's locking pin. 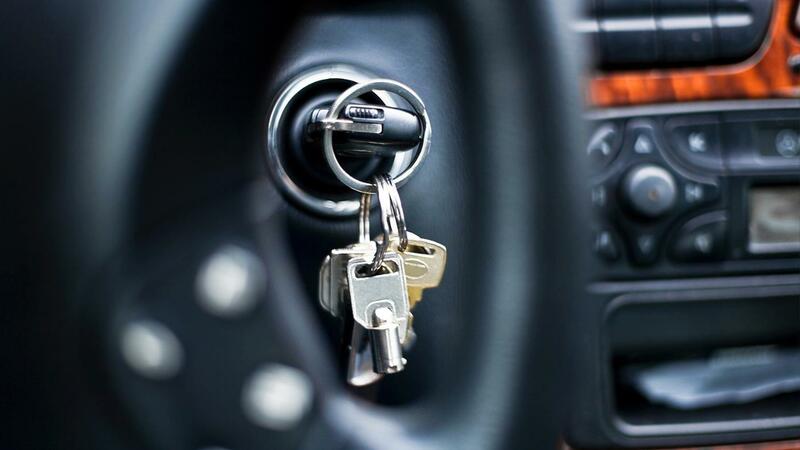 In many cases, a car key sticks in the ignition because the car's front wheels are not straight. Wheels positioned at an angle place extra pressure on the car's locking pin. Drivers can avoid this problem by ensuring that the car's front wheels are perfectly parallel to the vehicle when putting the car in park. How Do You Repair a Locked Steering Wheel? What Are Some Easy Ways to Customize Your Own Car?